Get yours at your local Mamma’s Pizza or have one delivered with your next order. Gift Cards from Mamma’s Pizza are the perfect way to say thank you, celebrate a special event or just show someone that you care! 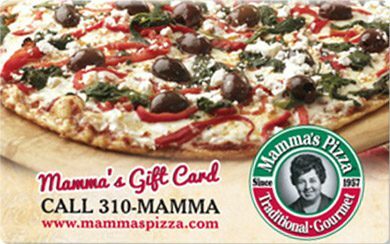 Available in any denomination between $5 and $100, these gift cards can be used at any Mamma’s Pizza location on any purchase.